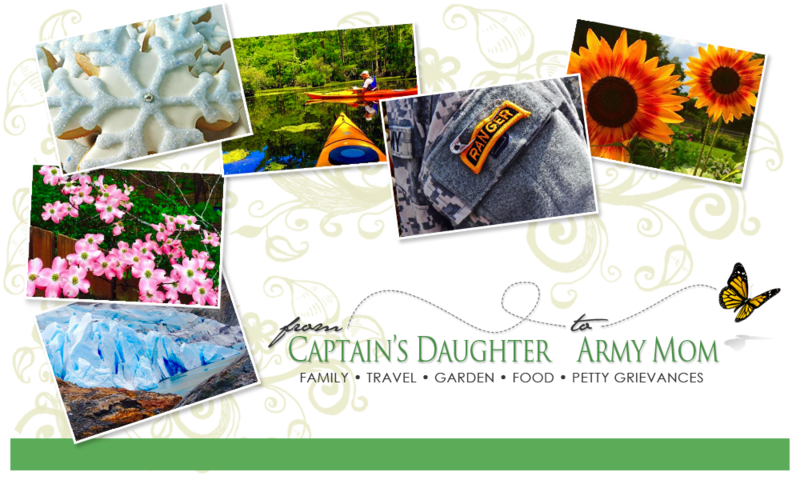 From Captain's Daughter to Army Mom: With a grateful Heart on this Fourth of July! As the Captain's daughter, I've enjoyed a life-time of very Happy 4th of July celebrations. Growing up on or near Military bases here and in Germany, there were always great Parades, yummy picnics and spectacular evening firework displays to attend - As well as plenty of other reminders of what the day means to us as proud, patriotic Americans. I've always looked forward to this holiday, and after we had our own children, my husband and I continues the traditions we love so much with them. When we left California and moved here to, the country, we were immediately bitten by the rare southern illegal fireworks bug. Because of that, we made many annual family field trips to the South Carolina border for mortar bombs and every other kind of very loud explosive that would surely have landed us in the Monterey county jail before the first match could be lit! Honestly, shopping at these border-town, mega-fireworks warehouses with the boys was almost as much fun as watching them oooooh and aaaaah over the brilliant, sky-high splashes of color their choices of pyrotechnics produced. Seeing their excitement was always very much worth the anxiety I felt over being pulled over and having our illegal stashes confiscated by the Po-po as we eased our way back over the North Carolina line too. Oh, how I do miss those times! But as much fun, and as meaningful as all the past Fourth of July holidays have been to me, THIS weekend's Independence Day will live in my memory forever as the best one yet. You see, while I would normally be posting today about some Red, White & Blue, Patriotic, Freedom-inspired sugar cookie creation of my own, the fact is that my oven is cold, and there isn't a dribble of tinted royal flood-Icing to be found. Nope. We're much too busy packing today... Packing, because this weekend, on the Fourth of July in fact, our Ranger will step onto a plane in Afghanistan to end his deployment and come home. Grateful doesn't even begin to cover how I feel. When I learned that this weekend would be, the weekend, it took me two days to tell anyone, and a day to call my parents because I couldn't say it out loud without crying. I am overwhelmed by emotion because while I have always admired and appreciated every single man and woman that has put on a uniform in the name of Freedom for me and this country I love, there is just something unexplainable when that soldier is your son. And, there is something profoundly unexplainable about how I feel as a mom about to see and welcome her precious son home, while other mothers mourn. Plainly put... I am humbled by God's grace for this reunion. 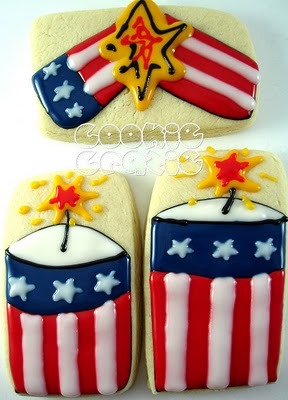 So while I pack and think about where, between here and Ft. Benning we might find a grilled hot dog on the Fourth of July, I want to share some amazing cookies made and decorated by another Army Mom I admire. You see, Pam's son will leave home this Wednesday to begin his six year commitment to the Army Reserves. Pam is a pretty incredible woman. She home-schooled all of her children to their graduations, she is a missionary to the Ukraine and she has a way with the decorated sugar cookie! 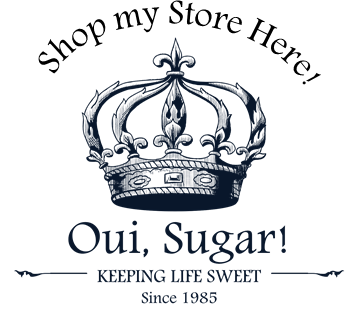 I hope you will check out both of Pam's blogs and enjoy them as much as I do! a Very happy and safe Fourth of July! 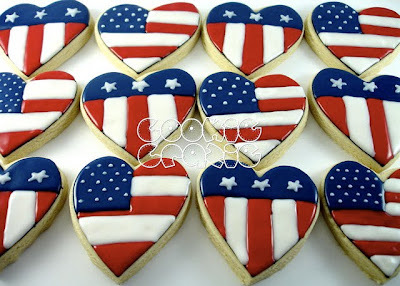 cookies she created in honor of America's 234th birthday! I am crying reading this Janet.....for so many reasons!! I'm beyond excited for you guys and just can't imagine to emotions you must be feeling! My prayers to Pam and her son! and her cookies are incredible!!!! To the HAPPIEST 4th of July to you Janet! You really know how to pull the tears out! What a great 4 th July you will have. I'm so glad he is coming home safe. I love Pam she is the sweetest her cookies always impress! I am soooo excited for you!!! Is your Ranger home for good now?? What a beautiful, beautiful post! It's not just the soldiers who sacrifice, is it? It's the families left behind. Thank you from the bottom of our hearts to all of you. This is a beautiful post- your love for your son and this country shines through. I'm so glad he's on his way home. I know how grateful you are. As we celebrate this weekend I will remember the Rangers that did not make it home. We are all so proud of your son and feel so emotionally invested in his return. There will be a collective sigh of relief all over the blogging community when we hear that he is safe and sound back in the good ole USA. 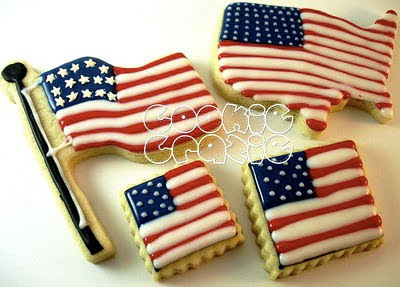 Happy 4th of July my friend! EMOTIONS... TEARS... Whew........... and relief to know your son is coming home! My son is in the USAF and fortunately has never seen combat, but could at any time. He was in Japan at Kadena AFB for 2 years. He came back to the states in January of this year. It was so great to see him... He left a child ... my baby! But came back a MAN... and STILL my baby!!!!! I am so grateful that your son is coming home safe too! We are GRATEFUL and HUMBLED by what all our service members do for all of us!!!!!!!!! God bless your son as he travels home ... oh I am so HAPPY for you! This is a WONDERFUL Fourth of July moment!!! So very, very happy for you! What wonderful news on this special weekend! My family is very thankful for yours. This is a wonderful post! Your son is so handsome and I'm sure you are so proud of him. Thank you to your son for serving our country! Hopefully you are holding your baby in your arms as I write this. I can only imagine the profound joy and gratitude that is bursting from your heart today. To your family, your son and his brothers and sisters in arms and to all your countrymen...Happy and Blessed 4th of July. I forgot to say that I will hold Pam and her son in prayer. Those cookies are incredible! This post made my eyes leak. I am beyond thrilled for you and your family! Please thank your son for his service and commitment to this country. I used to date a Ranger and know how incredibly talented they are at what they do. I also volunteer with Soldier's Angels so every military person has a place in my heart...veterans too. We owe them so much! Have a wonderful, blessed week. So glad I found your blog. Many blessing and prayers to Pam's son!